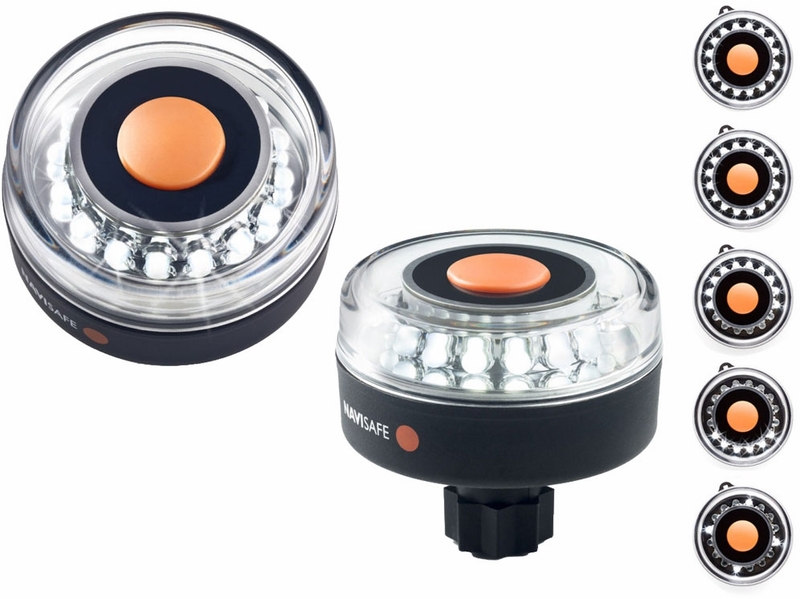 The Navilight All-Around white RB 2NM - US Coast Guard approved for 2 nautical miles is the most versatile light of Navisafes range of battery operated portable navigation lights and includes a 360° All-round light, 225° Masthead light, 135° Sternlight, Flashing light, Anchoring light and a Cabin light. It is battery operated, uses super bright LED light, is water proof, floats and is fully compatible with the RAILBLAZA StarPort Mounting system. RAILBLAZA is a New Zealand based supplier of one of the most versatile and EASY-TO-USE Mounting systems for boats, ATVs, RVs or trailer. The base of the Navi light has the form of a star and will fit directly in many Anchor Winches and Winches as well as to specially designed mountings, such as the Navisafe RAILBLAZA Sideport, the Navisafe RAILBLAZA Starport and the Navisafe RAILBLAZA RailMount.